← Google: a new phase in brand management techniques? BNP Paribas Fortis: from mobile web to mobile app. mobile web or mobile apps need to load quickly (even with 3G and UMTS). For more details on this particular subject, please go through the slide show below. 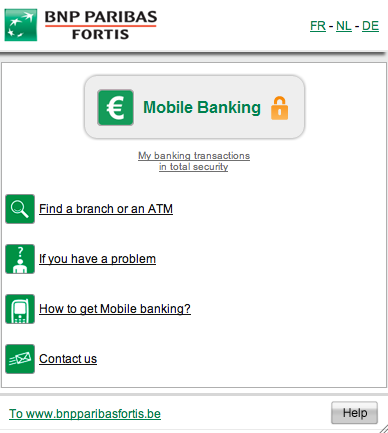 5 Responses to BNP Paribas Fortis: from mobile web to mobile app. Hi, tnx 4 passing by. In the end the goal defines the web or the app.